The 2016 Buick Enclave benefits from the newest version of OnStar. That means 4G LTE support with built-in Wi-Fi that allows the Enclave to act as a hotspot for wireless devices such as laptops and mobile phones. Also new for 2016 is a Tuscan Edition trim that adds a bronze-trimmed grille and 20-inch wheels. If you’re in search of a luxury crossover SUV that emphasizes comfort, quality, and quietness, then look no further than the 2016 Buick Enclave. The Enclave doesn’t boast the largest engine or the busiest design, choosing instead to focus its talents on delivering a library-quiet cabin and one of the smoothest, most comfortable rides you’ve ever experience. That level of quality and serenity are worth the price of admission. Factor in the fact that the Enclave is available at a much more agreeable price point than its mainstream (read: German/Japanese) rivals, and you’ll seriously want to consider what the Enclave has to offer. Power is an important part of the luxury equation and the 2016 Enclave possesses all the quality a crossover of such stature requires. Under the hood lives a 3.6-liter V6 engine that produces 288 horsepower and 270 pound-feet of torque. Mated to this potent powertrain is a six-speed automatic transmission that channels power to the front wheels, via the standard front-wheel drive setup, however all-wheel drive is available for those that desire it. The 2016 Buick Enclave is most notable for its quiet ride. 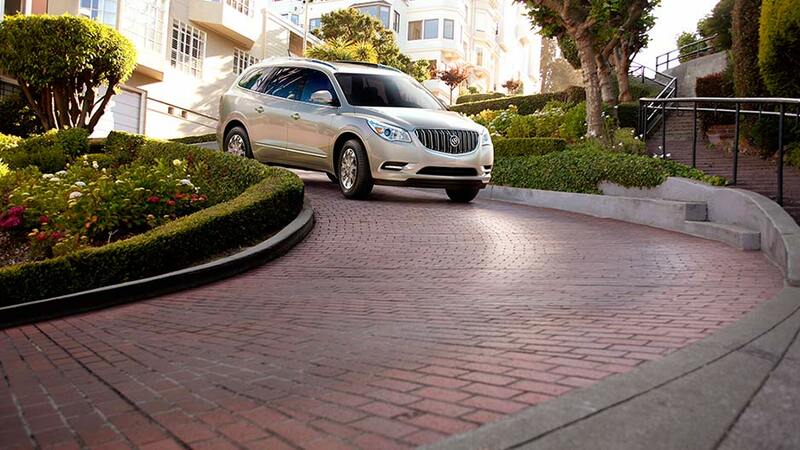 While it can handle twisty switchbacks with aplomb, the Enclave is at its best when used a comfortable cruiser. To aid it in this regard, the Enclave employs Buick’s QuietTuning sound suppression, giving it one of the most serene driving experiences around. 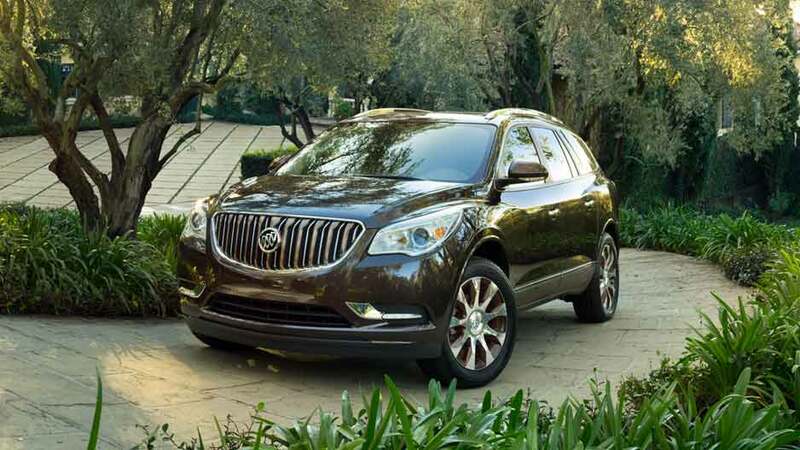 The 2016 Buick Enclave is a three-row crossover that starts at $39,065** and comes in three different trim levels: Convenience, Leather, and Premium. Buyers expect a lot from their luxury vehicle and no automaker understands this better than Buick, which is why the 2016 Enclave is teeming with premium features and amenities like 19-inch wheels, automatic xenon headlights, a power liftgate, and rear parking sensors—all of which elevate the Enclave from “just another luxury SUV” to a real segment leader. Technology plays an increasingly important role too, which is why the Enclave also comes with the latest version of OnStar, which now includes 4G LTE and built-in Wi-Fi, Bluetooth®, a rearview camera, and a vivid 6.5-inch touchscreen display. 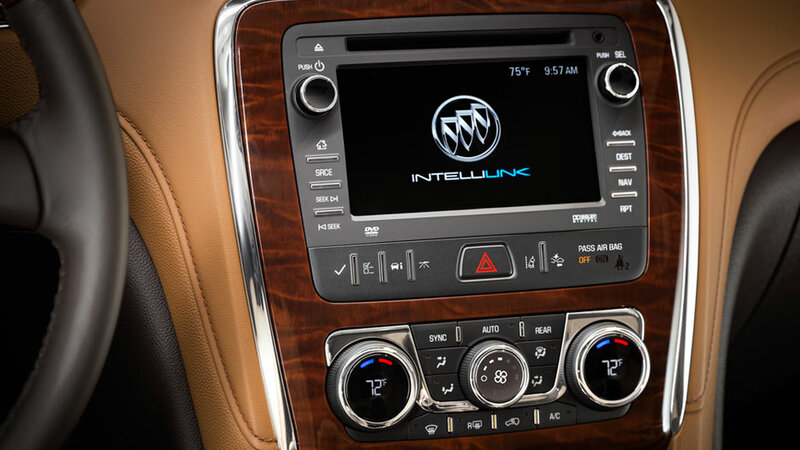 Not to be overlooked is Buick’s IntelliLink® electronics interface, which adds voice control and smartphone radio app integration. Making your life even easier are two convenient USB charge ports. 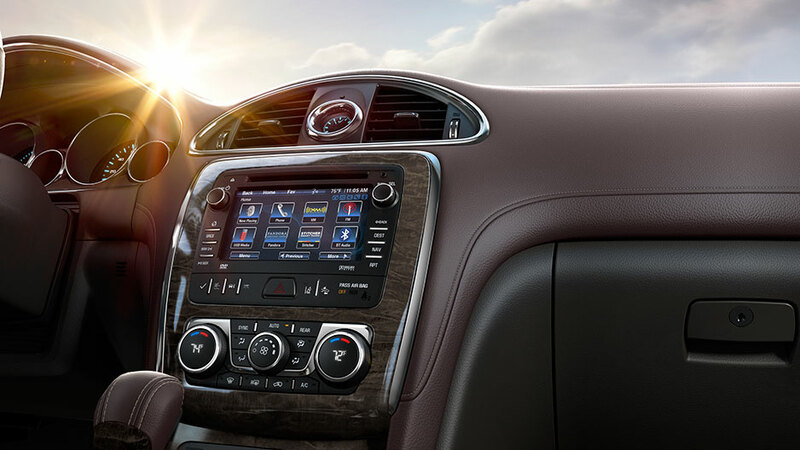 The Enclave also comes with a six-speaker sound system—complete with CD player, audio jack, USB/iPod® support, and satellite radio. Stepping up to the Leather group adds even more quality to an already impressive package. For added peace of mind, the Leather group adds a blind-spot warning system and rear cross-traffic alert. Those features are joined by a power-adjustable steering wheel, heated front seats, an eight-way power passenger seat, and leather upholstery. 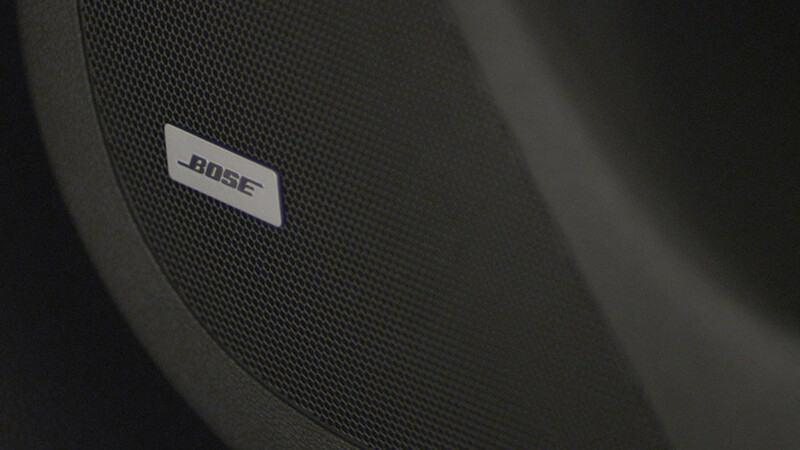 Rounding out the Enclave lineup is the Premium group. It fleshes out the feature-rich luxury crossover with even more goodies, including adaptive headlights, chrome-clad wheels, power-folding and auto-dimming mirrors, forward collision alert, lane departure warning, and heated and ventilated front seats. For Premium group models, the Enclave’s audio system also gets a boost, with the standard six-speaker setup replaced by an upgraded 10-speaker Bose® system. 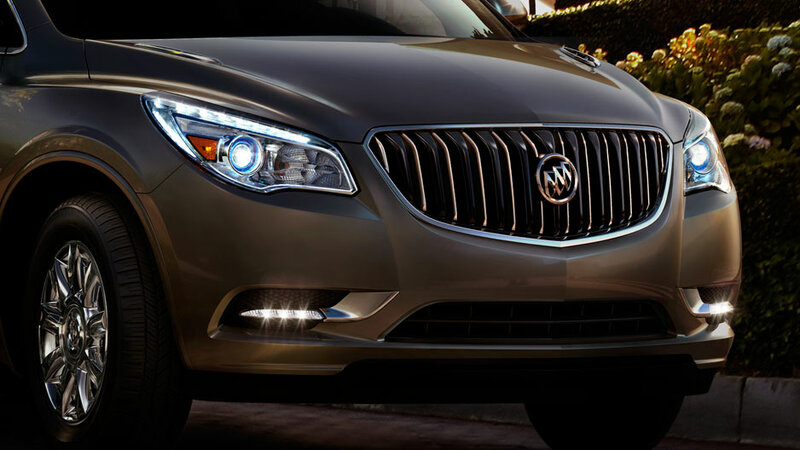 The 2016 Enclave is rich with design elements that draw the eye and spark the imagination. On the outside, Buick’s trademark “waterfall” is front and center, an elegant design note that commands attention while remaining delightfully understated. The use of high-intensity (HID) xenon projector headlamps with LED signature accents is another appreciated design element that adds visual fidelity while illuminating the road ahead better than traditional headlights. Attention to detail is what separates the average from the spectacular, and the translucent blue lights that radiate around the front lamps are truly a sight to behold. While most crossovers retain their odd and often bulky shapes to facilitate interior space, the Buick does away with this design flaw. Naturally, it retains the space and comfort required of its prestige but instead features a sleek and fluid profile that glides effortless the atmosphere. 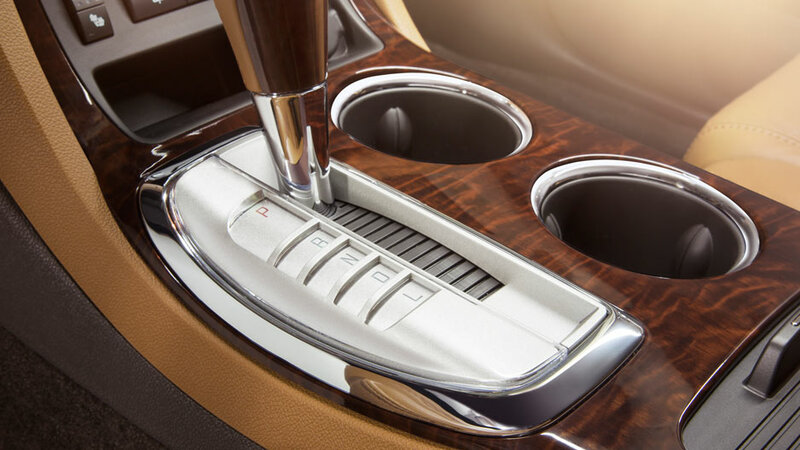 Moving inside, wood, leather, and chrome produce a distinguished interior. A thin strip of blue ambient lighting runs around the top of the dash from door to door, pulling the interior together in a way that feels cosseting but not confining. Air inlets, gauges, and even the center-mounted analogue clock feature chrome surrounds and a standard 6.5-inch touch-screen in the center stack provides access to infotainment systems. Buick has gone to great lengths to make the interior a tactile delight, so materials are all soft to the touch. The well-cushioned front seats have eight-way power adjustment and are available heated and cooled. Second row seating can be configured with two captain’s chairs to make the Enclave a seven-seater, or select a second row bench to accommodate eight. A high seating position and generous glass make the Enclave easy to guide through city traffic and into tight parking spots, though the rear view camera helps too. 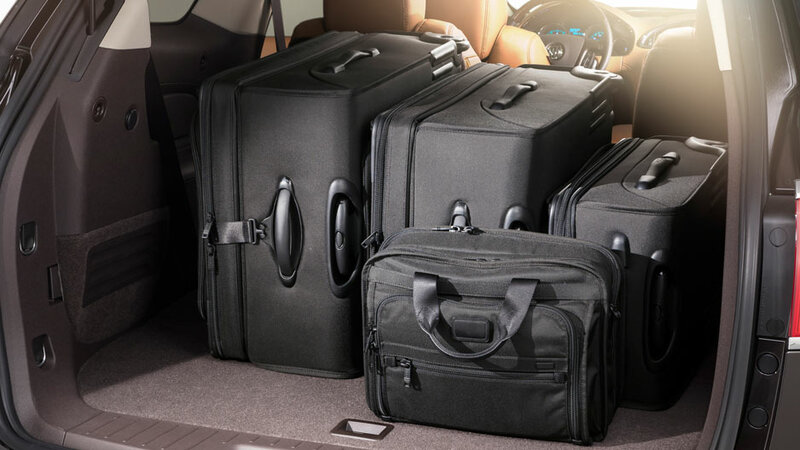 The Enclave’s cargo capacity is also impressive, with an available 23.3 cubic feet of storage even with the third-row seats in place. With the third-row seats down, the number increases to 68.9 cubic feet and even up to 116.3 with both the second and third-rows stowed. The 2016 Buick Enclaved is equipped with an extensive list of standard safety features designed to deliver the utmost peace of mind. Standard safety features include antilock brakes, stability and traction control, front outboard side airbags, full-length side curtain airbags, rear parking sensors, and a rearview camera. Also standard is a large airbag that deploys between the front seats in the event of a side impact. The standard OnStar system includes automatic crash notification, on-demand roadside assistance, an emergency button, stolen vehicle locator and active intervention, and remote door unlock. Additional safety features can be added by way of the Leather and Premium groups, which count cross-traffic alert and a blind-spot warning system among their many list of charms. The Premium group also adds forward-collision alert and lane-departure warning systems, both of which are available on the Leather group. With room for up to eight passengers and one of the smoothest and silent rides around, the 2016 Buick Enclave makes a compelling case for a spot on your crossover SUV shortlist. Of course, the best way to experience the 2016 Buick Enclave is behind the wheel, so be sure to contact or visit us at Rivertown Buick GMC to schedule your test drive. * EPA estimates. Your mileage will vary depending on driving habits and conditions. ** The Manufacturer’s Suggested Retail Price excludes destination freight charge, tax, title, license, dealer fees and optional equipment.